Demands rejection of anti Art 35A pleas, holds protest at Darigam Strongly condemning the arrest of the second son of the United Jihad Council (UJC) chief, Syed Salahuddin, Jammu Kashmir Democratic Freedom Party (JKDFP) has said that such cowardice acts cannot break the resolve of the resistance leadership. Terming the arrest of Syed Shakeel Yousuf as vengeful act of NIA, the JKDFP Spokesperson said that Indian agencies like ED and NIA have been tasked to break the will of the resistance leadership so these agencies have intensified their willful campaign of character assassination against the leadership. 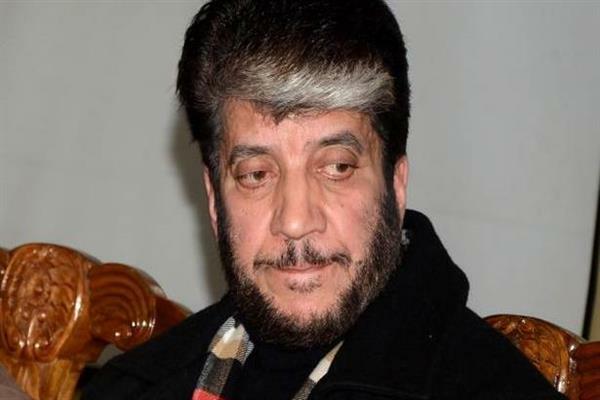 The resistance leaders including JKDFP incarcerated chief, Shabir Shah have been targeted time and again using made-up cases however they are strongly holding their just political stance on the internationally recognized Kashmir dispute. JKDFP Spokesperson strongly condemned the arrest of Syed Shakeel Yousuf after his brother Syed Shahid Yousuf in fabricated cases and termed it as a revengeful act of India on behest of its local agents. Meanwhile, the party organized a protest at Darigam Budgam against attempts of tinkering of Article 35-A. The protesters strongly demanded Supreme Court of India to reject all pleas submitted against the Article 35A. They said that New Delhi is in fact aiming at changing the demography of Jammu Kashmir but the people living in the disputed region are aware enough to fight every imperialistic measure of India.